We buy Houses in Fort Worth for Cash! Sell Your Fort Worth Home Fast! 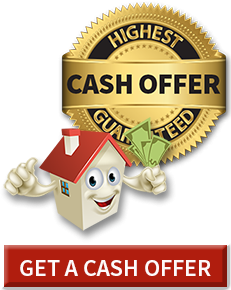 Get the Highest Cash Offer for your Fort Worth Property Today. Our investors are prepared to make you an AS-IS cash offer on your house. Our investors buy Fort Worth, Texas houses in any condition, any size, and any situation. You don’t even need to worry about the condition of your home. We’ll buy your home in any condition, pay cash, and will close fast, regardless of your home’s problems…even if it needs cosmetic repair or major renovations. No matter the reason why you need to sell your house in Fort Worth fast, our Cash Offer Investors have the solution. They have the knowledge and experience to help solve real estate problems for people just like you. If you are moving, going through a divorce, filing for bankruptcy, facing foreclosure, or can’t afford your mortgage payments, our Cash Offer Investors will make a no obligation, fair cash offer on your home. You’re never obligated to sell your home to them just for making an offer, and they don’t charge any fees. Our investors buy Fort Worth houses fast, and they'll make the highest cash offer for your property. To get started give us a call at 214-675-6292 or fill out the form above for a free no obligation cash quote today! Get a FREE No Obligation Offer by filling out the from below.